Fajita salads are the perfect way to spruce up any dinner! You can add as many different spices and vegetables as you want and still come out with a perfect dinner. For this specific Fajita Salad I like to use the traditional green bell pepper, red bell pepper, and red onions as my Fajita order usually entails. While you can have chicken, beef, or pork in your fajita mix, I choose to make a grass-fed beef fajita mix. The dark flavors of the beef give it a delicious flavor and contrasts the lightness of the lettuce exceptionally well. Lettuce used in this salad can be just about any kind. If you love earthy greens (which I hope you do) feel free to do a spring mix, spinach mix, or baby lettuces mix. However, if you are not romaine lettuce still have some wonderful color, nutrients, and crunch that can be used instead. If you plan on serving and eating the entire meal, try tossing the fajita mix with the lettuce and eating it all combined! It will not store very well this way so I recommend only doing this if the entire meal is to be consumed in one seating. First, cut the grass fed beef strip loin into strips. They should be approximately 3 inches long and only 1/4 inch thick. Heat oil (coconut, olive, or other) in a medium skillet on medium-high heat. 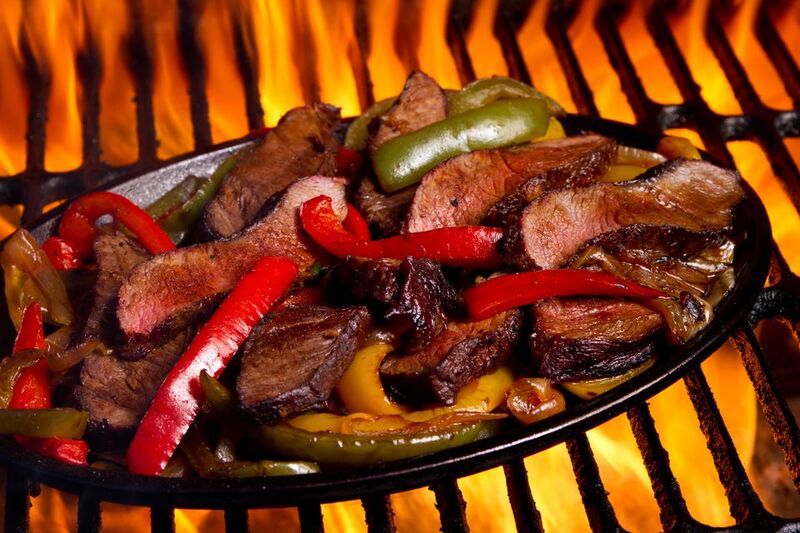 Place beef strips and sliced vegetables into the skillet and allow to cook until strips are almost cooked throughout. Next, add 1/4 cup water into the vegetables and meat mixture and add your homemade taco seasoning or other paleo approved seasoning of choice. Allow to simmer and for the veggies and meat to soak of the spices. Remove from heat and allow to cool. Then chop your head of romaine lettuce into bite sized pieces and placed your desired amount into a bowl. Top with a few scoops of fajita mix and serve! VARIATIONS: Sliced baby carrots can also be cooked in with the fajita mix to add extra flavor and vegetable nutrients. Spice mix can also be omitted if desired. To store place in an airtight container in the refrigerator for up to one week. To reheat simply cook in a skillet on medium heat until warm.